Qi Chi Ki - three expressions - one idea. Qi/Chi/Ki is the vital energy within each of us, the vibrating life source, our inner self, our essence. We are all made of energy and everyone has the ability to use it. Today everybody has to cope with more and more stress in daily life and we strongly need to develop a good balance in order to strengthen our health, well being and creativity. Our vital energy (Chi) should flow harmoniously in it's wellordered paths. 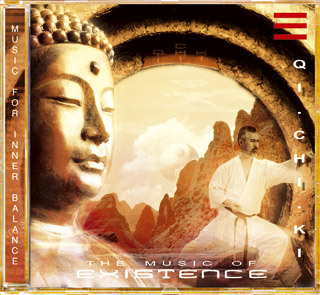 The music of this album creates a meditative atmosphere, perfect for deep meditation and concentration. Energy work / Relaxation / Healing treatment / Reiki / Massage / Aroma therapy / Shiatsu / Meditation / Tai Chi / Chi Gong / Yoga / Martial Arts and many others. More music by Existence . . .